It's been almost two weeks since I posted anything. But here it is. 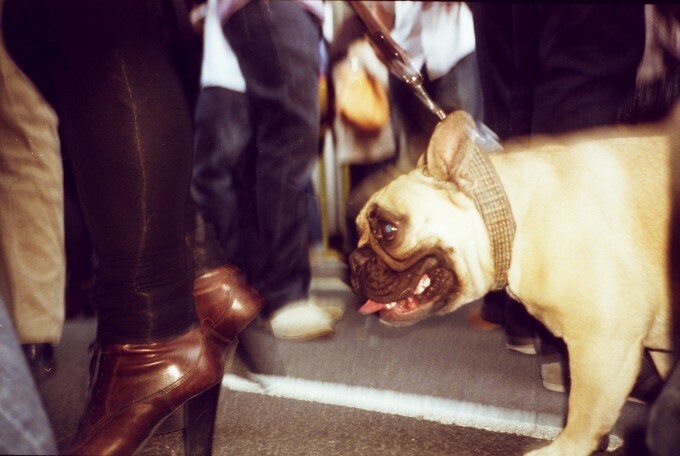 A dog and high heels, on a roll of film that was in a camera I found somewhere in an old jacket I hadn't worn for over a year. It's been a rough two weeks. My daughter was ill for a week and when she finally was all smiles again a headache like I never felt before hit me for three days straight and only now seems to be on it's way out. The doctor reckons 'sleep deprivation' is the main cause and yes, that makes sense. Now I'm trying to catch up with sleeping while my girlfriend is holding the fort.